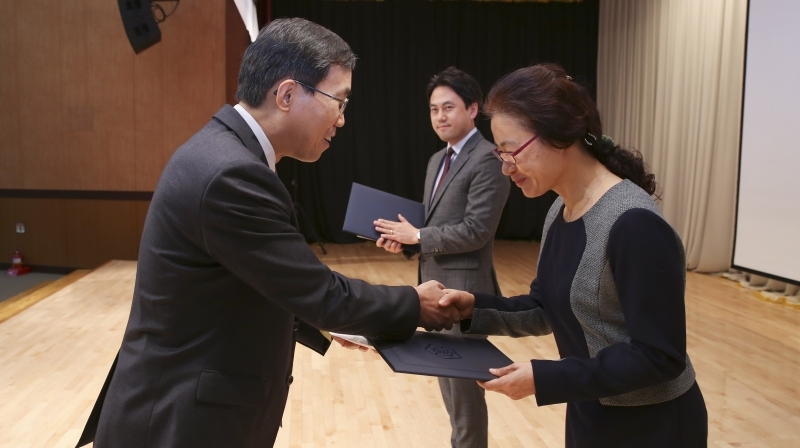 Dr. Wonsun Lim (left), Chief Executive of the National Library of Korea is presenting the Ministry of Culture Award to RyoungEun Kim (right), the UNIST Library team leader at the 2015 Open Access Korea (OAK) Conference. 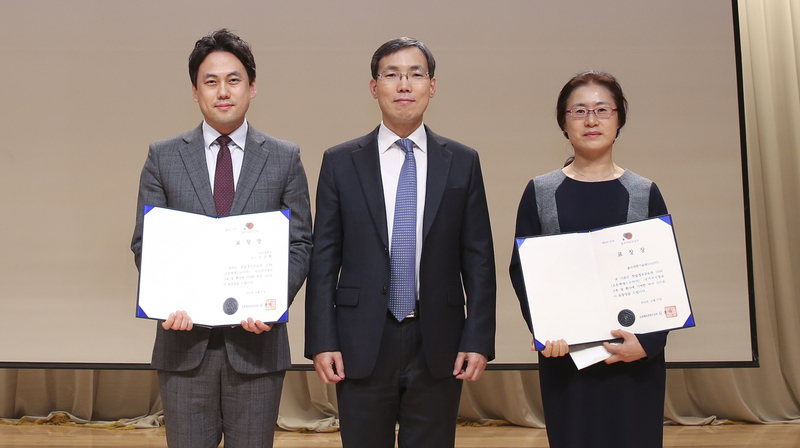 The ScholarWorks@UNIST has been selected as one of the best Open Access Korea (OAK) institutional repositories for overall value among Korean universities by the National Library of Korea. 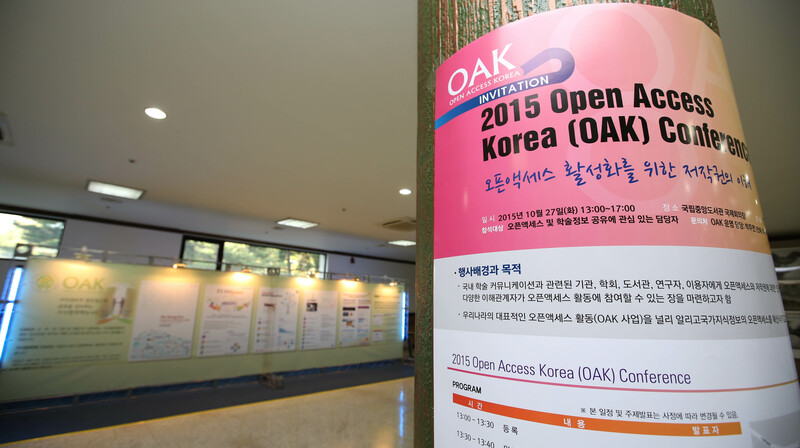 Moreover, for its exceptional work and dedication, this open source based institutional repository system of UNIST has been honored with the Ministry of Culture Award of Excellence at the 2015 Open Access Korea (OAK) Conference, held on the 27th October, 2015. Through this repository system, the library supports the scholarly communication of scholars and students at UNIST by providing access to resources through the library website and by offering a growing range of services. Currently, a total of 8,500 theses and dissertations are archived in UNIST’s Open Access repository (OAK Central), along with 400 other reports, such as working papers, conference papers, etc., all produced by UNIST authors. All these contents are openly available to anyone on the web. “When compared to the previous repository system, since the official launching of ScholarWorks@UNIST, the number of downloads has been increased by 10 times”, says the UNIST Library team leader, Ms. RyoungEun Kim.